One-shot stopping power. Those four words tell you everything you could ever need to know about .45ACP. It doesn’t just hit hard; that’s like calling Mt. Everest a hill. As a .45ACP fan, you’re a serious shooter, and serious shooters practice hard. 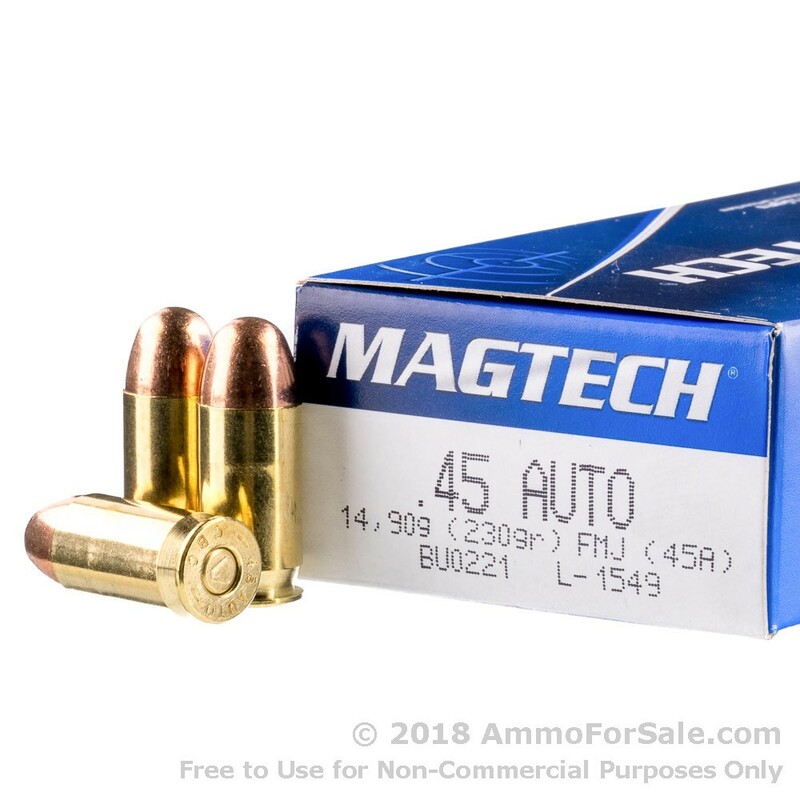 That’s why there are 1,000 rounds in this box of Magtech .45ACP 230 grain FMC ammunition. Because you’re going to take your favorite handgun out and burn through this entire box of ammunition without batting an eye. You’re that hard-core. 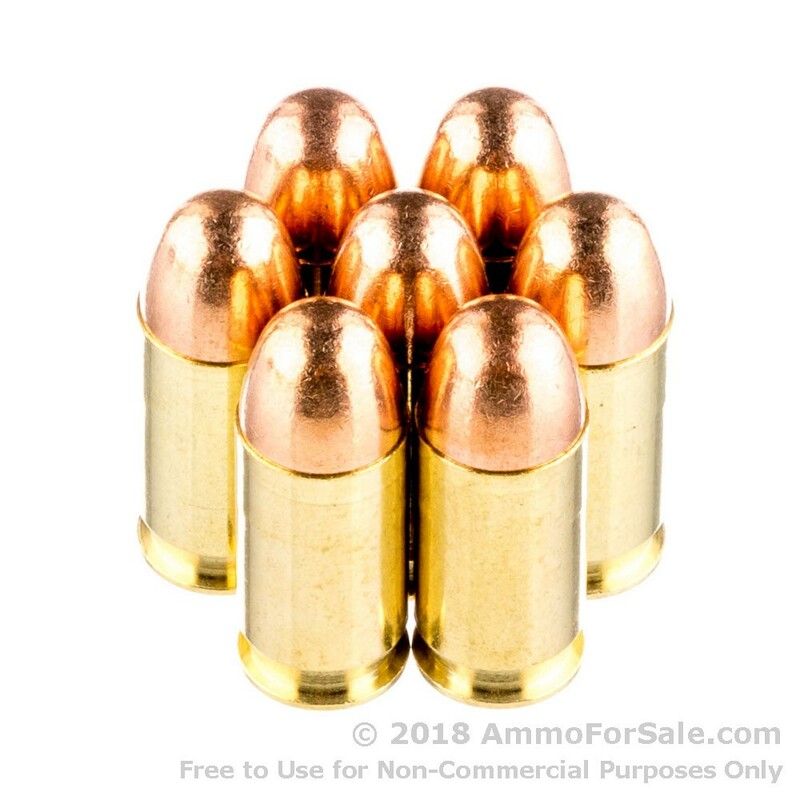 These are heavy rounds at 230 grain, and that weight means they’ll put a serious hole in your targets. This ammunition is FMC, and although that’s similar to FMJ, it’s not quite the same. FMC is entirely covered, even over its base, which significantly reduces lead particles released during their use. Not only is that good for your lungs as a determined, high-volume shooter, it’s also good for the lungs of the staff at your favorite range. And as FMC ammunition it’s ideal for target practice, tactical training, and plinking. This ammunition has a muzzle velocity of 837 feet per second and a muzzle energy of 358 foot-pounds. 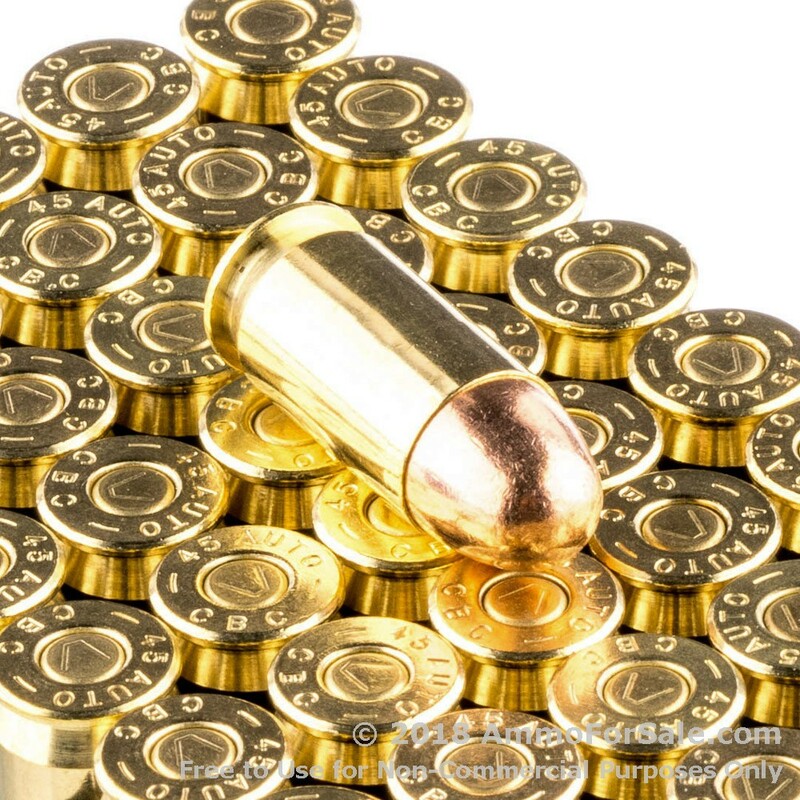 And because Magtech uses fresh brass, you can feed your gun, police your brass, reload, and reuse. You’ve got the potential for up to twice as much practice as you’re paying for, and that’s not just a good deal, it’s a phenomenal one. All of Magtech’s ammunition is manufactured at their Sao Paulo, Brazil, plant to stringent standards. And with 1,000 rounds in this box, you’ll have an excellent day out with your most excellent firearm. Don’t just say you’re a serious shooter; be one. 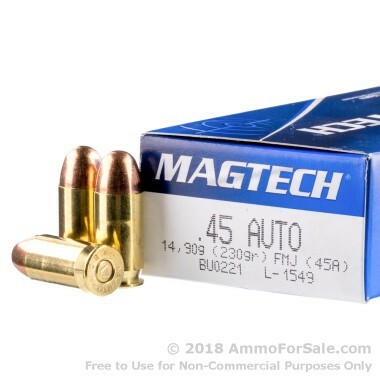 Magtech makes good,clean, consistent and reliable ammo. Their 45 Ball is very reliable and faster than most Ball ammo. No FTF in Sigs, Glocks and Colts. Very consistent.